A man has been jailed for life with a minimum term of 17 years for stabbing his partner to death at her flat. 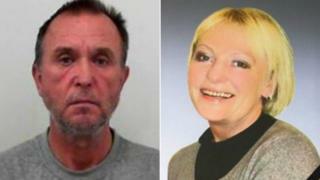 Vaclovas Liubavicius, 62, of Gadshill Road, Bristol, killed his girlfriend, Nijole Sventeckiene in June. The 61-year-old victim was attacked in her sheltered housing flat and died two days later from her wounds. Liubavicius, who was found guilty of murder, will be deported to his native Lithuania once he serves his prison term. The killer was in a relationship with his victim, who was also from Lithuania, for five years before he attacked her on 21 June. Det Ch Insp Ruth Mather from Avon and Somerset Police said: "During the investigation it became apparent that Liubavicius was both dependent on alcohol and on Nijole. "Despite her being his rock he brutally attacked her with a knife and tragically took her life. "He has then refused to take responsibility for his actions, showing no remorse and resolutely denying what he did in court even when faced with the evidence against him." The victim's family have paid tribute to Ms Sventeckiene. Her son Rokas Sventeckis said: "My mother was a loving and hardworking person who has touched the lives of so many people. "Our family will never forget the events of 21 June when mum was tragically taken from us by the actions of Liubavicius. "We are so proud of everything mum achieved and hope that she can now rest in peace."